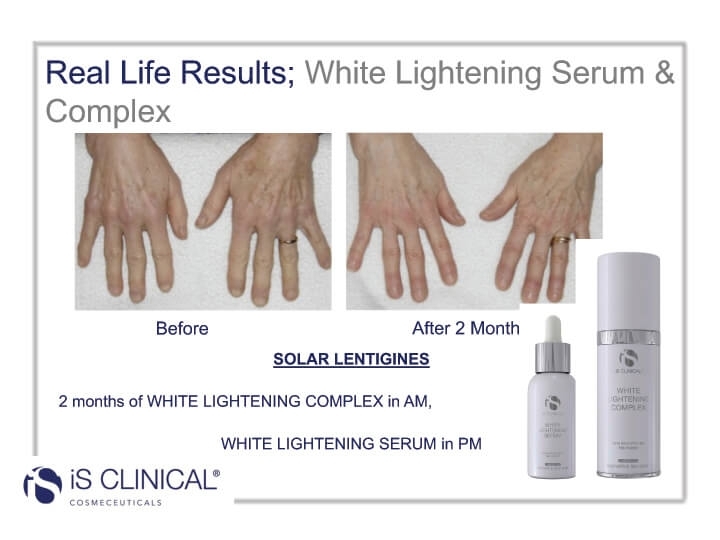 White Lightening Complex Features an innovative blend of proprietary lightening ingredients and pharmaceutical grade botanicals this unique formula safely and effectively brightens & lightens the skin targeting all 5 mechanisms that are proven to cause hyperpigmentation. 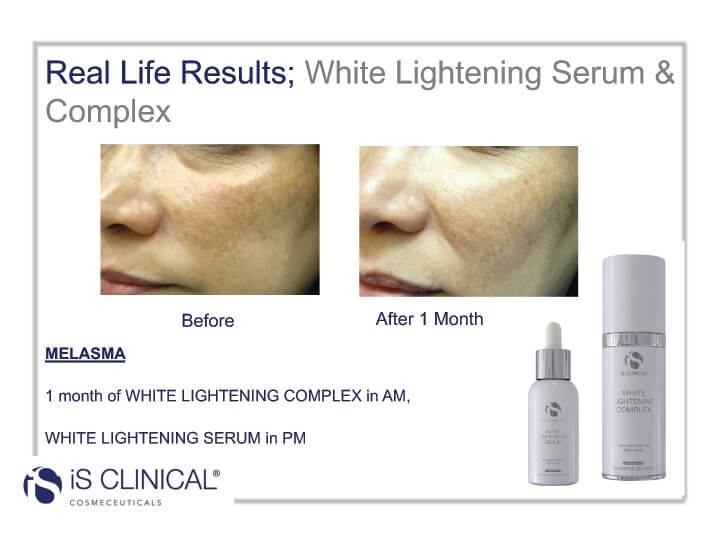 This helps to treat hyperpigmentation in five ways: provides antioxidant protection, reduces inflammation, interrupts communication between melanocyte and keratinocyte, inhibits the production of melanin, exfoliates without excess peeling or irritation. Increases controlled exfoliation, helping to remove pigmented areas.